Good SEO Begins with Content. 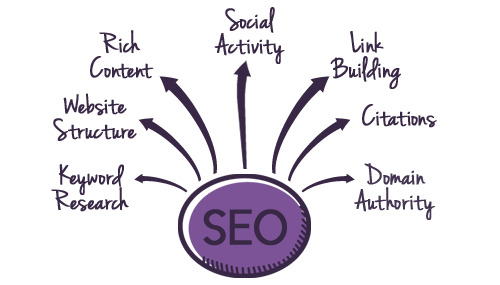 If you own or market a Kamloops business and are trying to achieve a top ranking position within search engine results, you’ll need to familiarize yourself with the fundamentals of good SEO. Most ranking issues are caused by a less than optimal website structure and a general lack of rich content and use of keywords.The more competitive your industry, the more likely it is that you’ll need in-depth and original content, and have an SEO friendly structure that enables search bots to read and translate your web pages with ease. Regularly adding to and updating your site, such as with blogs or further supporting existing topics are also a big plus. If such SEO tactics still worked, our Internet experience would be very different and likely far less enjoyable. Major search engines are intelligent enough to determine the difference between great content and content that was hastily spun and unnaturally stuffed with keywords. Social signals, such as sharing, bookmarking and blogging also carry a lot of weight, so your content should be worthy of this type of activity on a large scale (one or 2 likes or shares won’t cut it). To be successful with SEO campaigns for their clients, Kamloops SEO companies have had to change their strategies, as the landscape and approach to effective SEO is vastly different, comparatively from even a year ago. The concept of only building directory backlinks to achieve top rankings is no longer an effective means, as today’s major search engines require a more balanced approach that should involve content, social signals, and links from a variety of sources. Carefully consider your targeted keywords and understand that your website will need to deliver the goods on what is being searched for or your visitors will exit just as quickly as they arrive. Ensure your site does a good job answering the query so that you stand a chance at converting your traffic. Often times you’re better off targeting more descriptive, longer tailed keyword phrases, that include your business strengths. Long-tailed keywords tend to be easier to rank for so there’s higher chance of success all around. How to Hire SEO Companies. Before signing any SEO contracts, make sure you can count on a measurable return and your agreement clearly outlines what you can expect. Reputable SEO companies will offer some assurances with respect to timelines and ranking positions, while other lower grade agencies tell you it’s impossible to predict. The ultimate test of quality is whether the company you’re dealing with will themselves rank for their own targeted keywords. Google search “SEO Kamloops” and see who shows up. If a company can’t achieve this for their own business, it’s likely they cannot do it for you.